Congratulations to the recipient of the 3rd Annual LAMMICO Patient Safety Award & Grant: Specialists Hospital Shreveport in Shreveport, La. 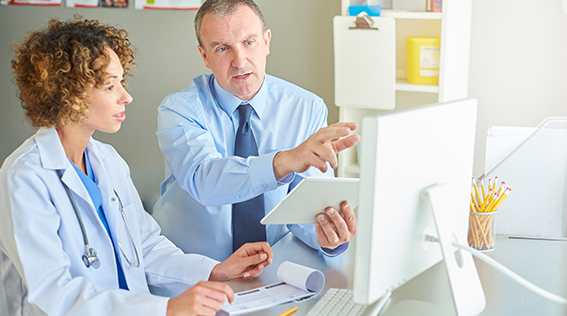 The 2017 Patient Safety Award focused on the importance of handoff communication among caregivers. Participants were asked to complete LAMMICO’s risk management and patient safety education on handoff communication, implement or revise a handoff communication tool and share their method of motivating staff to implement and consistently utilize the tool. 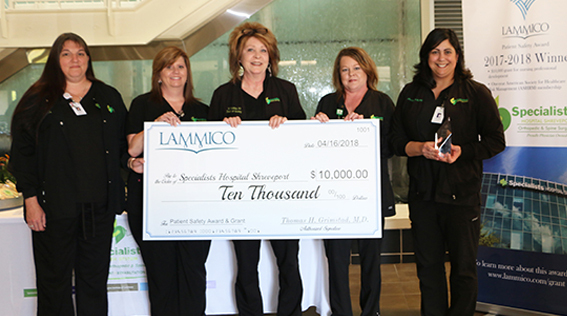 The LAMMICO Patient Safety Award recognizes major achievements by hospitals and facilities to improve patient safety and healthcare quality, consistent with LAMMICO's ongoing efforts to mitigate liability and ensure patient safety through education, assessment, and tailored clinical risk management resources. LAMMICO commends both of these hospitals, and all others who submitted award applications, for their commitment to improving patient safety. Studies have shown that as many as 30-60% of healthcare providers meet the criteria for burnout. Burnout contributes to poor quality of life for healthcare professionals who are experiencing it. In addition, quality of care and patient safety can be negatively impacted by stress and burnout. LAMMICO is partnering with the healthcare community to identify nurse burnout and strategies for reducing burnout. 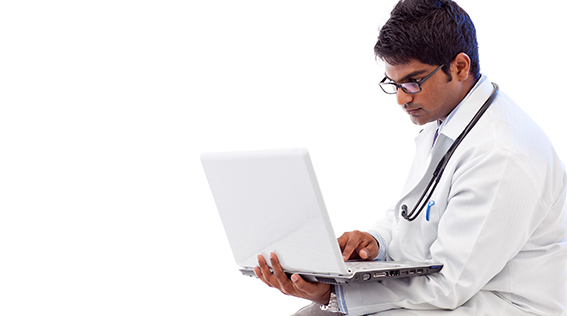 To do this, LAMMICO is linking the 2018-2019 Award and Grant Program to its online educational activity entitled “Nurse Well-Being: The Burnout Dilemma.” Participants are asked to complete an online learner assessment, complete the educational activity and implement strategies to reduce levels of stress and burnout. 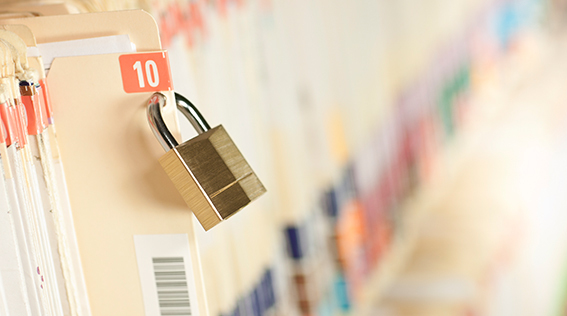 The goal is to foster both personal and institutional strategies to improve nurse wellbeing. Visit www.lammico.com/grant to learn the program objectives and requirements, and to download the award and grant application. Applications will be accepted from May 1, 2018 to January 31, 2019. Contact Lynne Vega, RN, BSN, LAMMICO Hospital Risk Management Specialist at 504.841.2738 or lvega@lammico.com for more information.